Exploring pay gaps between jobs abroad and at home – Is moving to another country really worth it? 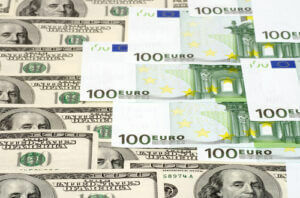 Dollar and euro banknotes background. Photo courtesy of Shutterstock. Moving to a new country can be an exciting prospect; with the lure of benefits packages, lower living costs and potentially higher wages all conspiring to provide a potentially much higher quality of life. Before taking the plunge it’s essential to do your research. Salaries can be higher in other countries than at home, but there are other factors to take into consideration and there is certainly no fixed rule. Variables such as the country you plan to move to, your chosen sector, your own qualifications and experience, and even – depending on the country – your gender; these are all things which will play a part in how much you can expect to earn. Qualifications given in the UK may not be recognised in another country, and this is particularly true with professions like teaching.